If ever you are walking around the Huccaby tor area you may well come across a concrete slab measuring 2.5 by 0.9 metres lying flush to the ground. To all intents and purposes this feature may well seem out of place as it’s located relatively near some prehistoric ritual features. What you have actually found are the last vestiges of a late nineteenth to early twentieth century Dartmoor tradition – The Huccaby Races. This incongruous slab of concrete was in fact a platform on which the horses stood to be accurately measured. When pitting horse against horse in a race it is vital that all the competitors are of an equal measure to ensure fair play and for this a level base was needed. Hemery, pp. 491 – 492, gives quite a detailed account of the day as related to him by a local lady – Annie Sleep. She relates how it was a grand day with lovely weather, slightly different to the report in the Times newspaper. The royal duties were to involve a luncheon with the Duchy tenants, followed by watching the races and then presenting the prizes. The luncheon was held in a large marquee especially erected for the day where the diners were entertained by a military brass band. The meal served at the luncheon was a sumptuous affair, details of which can be seen below. There was a veritable number of horses entered for the races and it appeared that anyone that owned anything that had four legs, a tail and it neighed brought the beast along. The main race on the card was the King’s Cup which for the third year running was won by ‘Flying Fox’ which was owned by Mr. R. Coaker of Runnage. 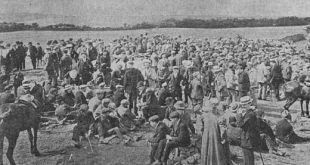 I am unable to find the exact dates of when the first and last race meetings were held at Huccaby but by 1957 onwards there were several races called the ‘Huccaby Handicap Hurdle’ held at the Newton Abbot racecourse. Whether this was a way of carrying on the tradition at the nearest location to Huccaby is unknown. Hemery, H. 1983. High Dartmoor. London: Robert Hale.